William Warren "Bill" Scranton (July 19, 1917 – July 28, 2013) was an American Republican Party politician. 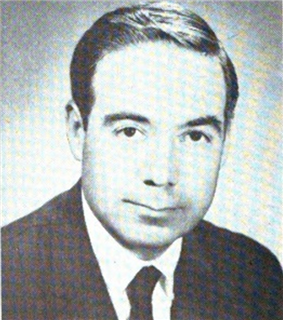 Scranton served as the 38th Governor of Pennsylvania from 1963 to 1967. From 1976 to 1977, he served as United States Ambassador to the United Nations. William Scranton was born on July 19, 1917, while the Scranton family was on vacation at a cottage in Madison, Connecticut. He was the son of Worthington Scranton, a wealthy Pennsylvania businessman, and Marion Margery Scranton, a member of the Republican National Committee for over two decades. Despite her own involvement in politics, his mother tried to dissuade him from entering politics, due to his childhood struggles with asthma, believing that the stress of campaigning would be detrimental to his frail health. Mrs. Scranton died just before her son's election to Congress in 1960. He was the grandnephew of Joe Scranton, a U.S. Congressman from Pennsylvania. Scranton family members were the founders and patriarchs of the city of Scranton, Pennsylvania. He was also a nephew by marriage of former U.S. Supreme Court Justice David Davis, a confidante of President Abraham Lincoln. His maternal ancestors came to America on the Mayflower. Scranton's father was the son of William W. Scranton (1844-1916) and Katharine Maria Smith (1851-1935). Katherine Smith was the daughter of Worthington Curtis Smith, who served as a Congressman from Vermont. Katherine M. Smith's uncle was J. Gregory Smith, who served as Governor of Vermont, and her cousins included Edward Curtis Smith, who also served as Governor. Her grandfather, John Smith, was a Congressman from Vermont. Scranton's genealogical line runs from John Smith (great-great-grandfather) to Worthington C. Smith (great-grandfather) to Katherine Maria Smith Scranton (grandmother) to Worthington Scranton (father) to Scranton. He attended Yale Law School from 1939 to 1941, dropping out in advance of World War II, enlisting in the United States Army Air Corps and serving as an Air Transport Command pilot during the war. Although he did not serve in combat, he was assigned to aircraft mobilization and pilot training duties, and was stationed on three different continents during his tour of duty, including South America, Africa, and Asia. On July 6, 1942, he married Mary Lowe Chamberlain. The couple had four children, a daughter and three sons, Susan, William Worthington, Joseph Curtis and Peter Kip. He was honorably discharged from military as a captain, but was active in the U.S. Air Force Reserves for two decades thereafter. Following the war, he resumed his studies at Yale Law School. He graduated in 1946, and was admitted to the Pennsylvania bar in August of that year. In 1962, the Republican party in Pennsylvania, which had lost the two previous gubernatorial elections and seen the state's electoral votes go to Kennedy in the 1960 presidential election, became convinced that a moderate like Scranton would have enough bipartisan appeal to revitalize the party. He ran for Governor of Pennsylvania against Richardson Dilworth, the mayor of Philadelphia. The ticket added Raymond Shafer, who would succeed him as governor, as his running mate. After one of the most acrimonious campaigns in state history, the Scranton/Shafer team won a huge victory in the election besting their opponents by nearly half a million votes out of just over 6.6 million cast. As Governor, he signed into law sweeping reforms in the state's education system including creation of the state community college system, the state board of education and the state Higher Education Assistance Agency. Furthermore, he created a program designed to promote the state in national and international markets and to increase the attractiveness of the state's prouducts and services. While he was Governor of Pennsylvania, the largest manhunt in the history of Pennsylvania took place. On May 11, 1966, Peggy Ann Bradnick was kidnapped near Shade Gap. Pennsylvania State Police, FBI agents, local law enforcement, and civilian volunteers scoured the mountains around Shade Gap and Burnt Cabins. On May 17, the kidnapper, William Diller Hollenbaugh, shot and killed FBI Agent Terry Ray Anderson. On May 18, Hollenbaugh shot and wounded Cambria County Deputy Sheriff Francis Sharpe. There was a shootout at Rubeck's farm in Burnt Cabins and Hollenbaugh was killed; Peggy Ann Bradnick was rescued without serious injury. Although he did not actively seek the 1964 Republican nomination for President of the United States in the beginning, a “Draft Scranton” movement quickly gathered momentum among moderate and liberal Republicans who saw him as an alternative to conservative front-runner, Senator Barry Goldwater, as well as other Republicans who feared that Goldwater's polarizing views would lead to defeat, after the campaign of Goldwater's liberal opponent, New York governor Nelson Rockefeller, had lost steam. Early in the campaign, he announced that he would be willing to accept the nomination for Vice President. Scranton first declined to enter the race but later threw his hat into the ring on June 12, 1964. Scranton won the support of ten state delegations, but Goldwater went on to win the nomination on the first ballot. Republican National Committee Chairman and U.S. Congressman William E. Miller of New York was nominated for Vice President. Under the then-existing Pennsylvania law, Scranton was limited to a single term and could not run for reelection in 1966. That same year, he announced that he would never again seek elected office. After his term in office, Scranton attended the Pennsylvania Constitutional Convention of 1967-1968 and helped write a new constitution for the state, which included a provision allowing future governors to seek a second term. In 1968, President-elect Richard Nixon asked Scranton to become Secretary of State, but he declined. He did serve as a special envoy to the Middle East but when he said the Nixon Administration should be "more evenhanded" in managing the problems of the Middle East, some in the American Jewish community regarded this as antisemitic and Nixon quickly distanced himself from the former governor. In accordance with his 1966 pledge never to seek elected office, he rebuffed a draft movement encouraging him to run for the U.S. Senate. After the Kent State shootings in 1970 Scranton was asked to chair the President's Commission on Campus Unrest to investigate this and other incidents of campus violence and protest. The committee’s conclusions came to be known as the “Scranton Report”. Following Nixon's resignation from the Presidency in 1974, he was appointed as a transition team member for incoming President Gerald Ford. Scranton reentered the business world and served on the boards of several high profile American corporations such as A&P, IBM, The New York Times, Pan American Airways, and the H.J. Heinz Company and was president of Northeastern National Bank and Trust Company. He was also associated with the Trilateral Commission, the Council on Foreign Relations, and was a trustee of Yale University, his alma mater. In 1976, Scranton was chosen by President Ford to become United States Ambassador to the United Nations. His measured approach to diplomacy and genuine interest in human rights earned him much respect in his short time in office. 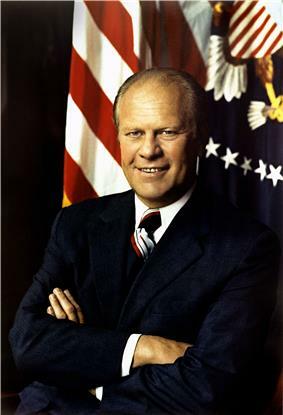 Some in the Republican Party pushed for Scranton to be named Ford’s running mate for the 1976 presidential election, but Ford chose Senator Robert Dole of Kansas instead. After his term as U.N. Ambassador, Scranton retired to his home in Dalton, Pennsylvania. Scranton's son, William Scranton III served as Lieutenant Governor of Pennsylvania under Richard Thornburgh. He ran unsuccessfully for governor in 1986 and was for a while considered a leading candidate for the Republican gubernatorial nomination in 2006 but ultimately dropped out of the race. Scranton died on July 28, 2013 from a cerebral hemorrhage at a retirement community in Montecito, California where he lived with his wife. ^ "FORMER PA. GOVERNOR, PRESIDENTIAL CANDIDATE DIES". AP. Retrieved 30 July 2013.